Jaakko Paalanen is one of Finland’s top social sellers and is head of partnerships at Leadfeeder, a sales tech startup known as “Google Analytics for sales”. His interests include generating online sales leads, social selling and how modern B2B sellers can use website visitor tracking software to reach quota. He’s also an expert in how new SaaS tools are changing the roles of marketing and sales. 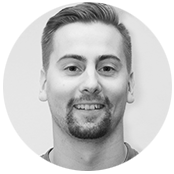 Jaakko is also an accomplished startup pitcher and he’s successfully taken Leadfeeder to the finals at cut-throat international startup events like Slush and Wolves Summit.